Want to help restore and shape the landscape of 21 Acres? Then join staff member Nick Jennison at our weekly Saturday work parties. 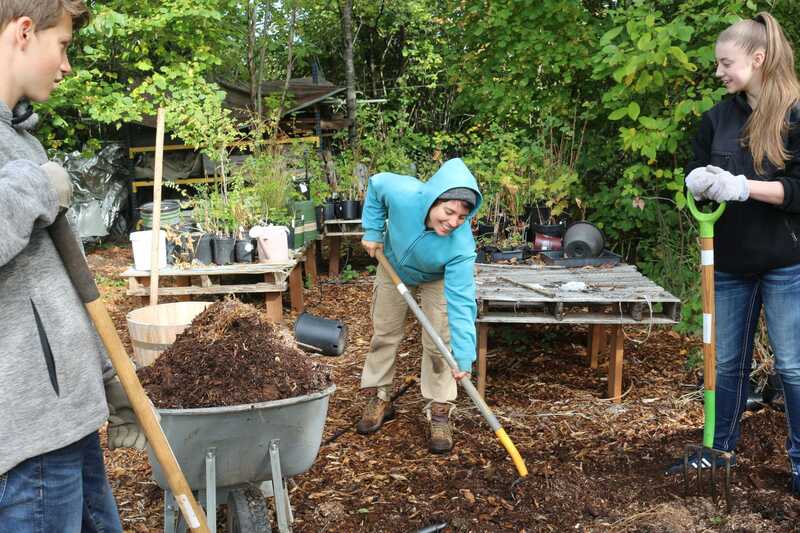 Tasks include wetlands restoration, plant propagation, garden and food forest maintenance, compost making, food harvesting, data tracking, and much more. There’s always lots to do and lots to learn! Work parties occur every Saturday from 10am-2:30pm with a 30 minute lunch break. The 21 Acres Market will be open 11-4 for you to grab lunch from the deli or pick up some produce and fresh bread on your way out. Plus, as a volunteer, you get a 10% discount! Most days will be filled with some sort of physical activity and take place outdoors, rain or shine, so bring weather appropriate clothing and shoes. Check out the schedule to see what’s happening this Saturday! Learn more about becoming a volunteer here. Or send an email to: [email protected]. Complete a volunteer application before you come — we’re looking forward to seeing you!